Ken Joy has a theatrical family history which dates back to the golden era of The Music Hall, the great days of the Concert Party and the wonderful years of Variety. The first of the joys was seen "treading the boards" at the London GaietyTheatre as one of George Edwardes famous Gaiety Girls and since that time the "Joy" name has been associated in some way with the theatrical world. To say the Ken was "born in a trunk" is no exaggeration - his parents were a comedy instrumental speciality act, touring all the major theatres in England during the great days of Variety. In later years his father took over as lead violinist with theMax Jaffa Palm Court Orchestra. Ken's Summer and Pantomime seasons include Blackpool, Weymouth, Sandown Pavilion, Folkestone, Clacton, Margate, Bournemouth, Jersey, Eastbourne and many more No.1 Summer and Pantomime Productions. 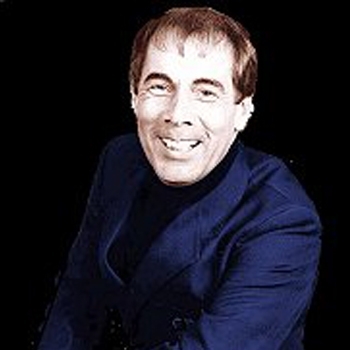 Still busy as an entertainer, Ken is now to be seen on the Cruise Ship circuit, presenting both his Comedy Instrumental and Comedy Magic Act and lecturing on the world of entertainment. Continuing the family "show biz" tradition Ken's son Richard who is a musical instrumental performer combining this with his role as a director of one of the largest Corporate entertainment agencies in the country.